EmoryDay is a full service digital marketing agency committed to growing small businesses. Through our Business Accelerator program, we are able to build marketing foundations that increase revenues, generate leads and create growth. We work a diverse portfolio of clients, within ecommerce, B2B, and B2G. We use a team based approach to create fully integrated, results driven, digital marketing strategies for our clients. EmoryDay was founded in 2004 as an Internet Marketing Agency dedicated to helping entrepreneurs reach their dreams, and the EmoryDay team members realize our own. Over the past 10 years, we have worked hard, solved a lot of challenges, built a lot of businesses, enjoyed a lot of success, and had a lot of fun. We like to think the best is still in front of us. After years of commuting and traditional office environments, we wanted to create a virtual company that supported both the individual and their family. This approach has helped us attract some of the best talent in the business across the country and the world. With email, mobile devices, instant messaging, web conferencing, we are all as close as the touch of a button. We are regularly asked about our name EmoryDay. The name comes from company president, Joe Jaap’s grandfather, Rear Admiral Emory Day Stanley Jr. He was a gentleman who believed in honor, respect, hard work and success. 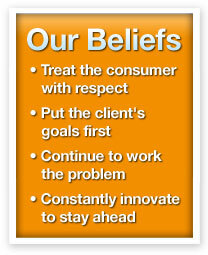 All of the same ideals we hold dear at the company. Our very first client was Roverlandparts.com, and with our help, they became the number one e-commerce website for used Land Rover Parts in the US. In the beginning, they had a 5 page website and were taking all of the orders over the phone. We quickly implemented a professional grade e-commerce website that grew to over 3,500 parts, and became very aggressive with their pay per click marketing. They increased sales 5 fold, started taking 80% of their orders online, and cut their search expenses in half. With our philosophy of constant improvement, we have continued to evolve Roverland Parts website and marketing. Over the past 10 years, they have withstood many challenges from competitors, and remain the number one provider with a very loyal and supportive customer base. Today we are a leading marketer of small businesses and ecommerce products. Through our Business Accelerator program, we are able to build the marketing foundations that increase revenues, generate leads and support our clients for years to come. We are pleased to represent clients across a wide spectrum of B2B, B2C and B2G industries. Most of our clients have been with us for several years, and we have several great partnerships that are cornerstones in our business. We hope our next client will be you. We promise to put your goals first, constantly improve your marketing and continually innovate for success.